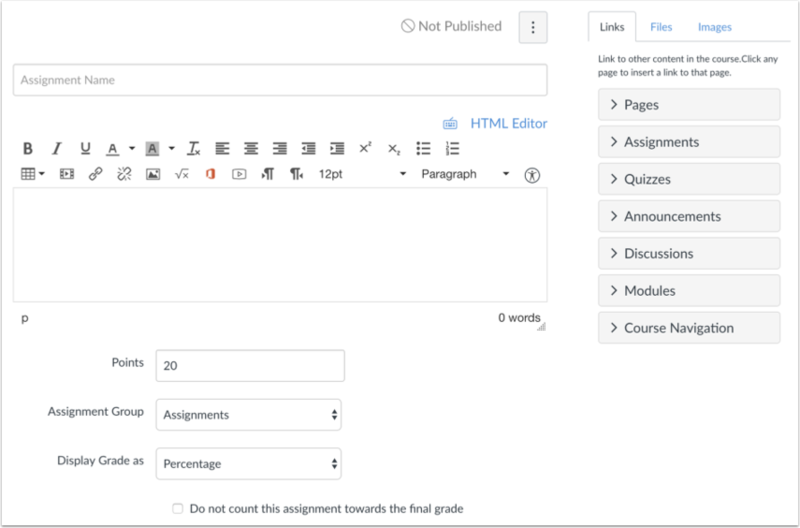 When creating an assignment, you can choose to set up an assignment with anonymous grading. Selecting the anonymous grading option hides student names from graders when they view assignment submissions in SpeedGrader. If anonymous grading is not enabled as a feature option in your course, you can enable anonymous grading in SpeedGrader on a per-assignment basis at any time. You can add annotations and comments in DocViewer when Anonymous Grading is enabled. If you want to use DocViewer tools and create anonymous comments in the submission, you can enable Anonymous Instructor Annotations in your assignment instead. Anonymous grading is currently a course opt-in feature. To enable this feature, learn how to manage feature options in the course features lesson. You or an admin can enable or disable the anonymous grading option at any time. Any edits made to the assignment will be tracked, and auditing tools will be added to help with accountability in a future release. Anonymous grading can be enabled with moderated grading assignment options. Anonymous assignments are automatically muted. 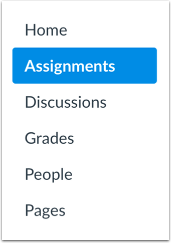 Like with all other muted assignments, grades are not displayed to students until the assignment is unmuted. To create an assignment with all assignment details at the same time, click the Add Assignment button. If you want to edit an existing assignment that has not yet received student submissions, click the name of the assignment. Click the Graders cannot view student names checkbox. Note: If the moderated grading assignment option is also enabled, anonymous grading includes an additional option for graders to not view each other's names. Previous Topic:How do I exclude an assignment from the course's final grades? Next Topic:How do I enable anonymous instructor annotations in student submissions? Table of Contents > Assignments > How do I add an assignment that includes anonymous grading? Re: When hiding names in SpeedGrader, are the numbers no longer random?